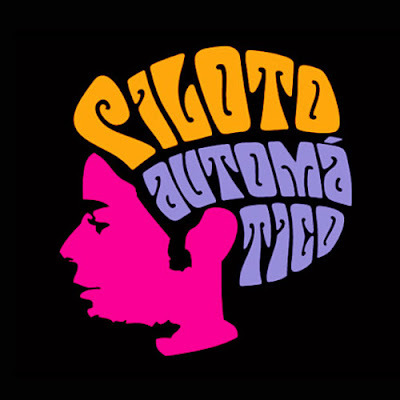 Four ordinary guys, working at daily jobs and studying at University join forces to give birth to an unpretentious musical project under the name Piloto Automático. With its roots punk coming from the stoner / punk rock - both in sound and in DIY punk rock ethos - Pedro Assis (drums and percussion), Tomaz Jr (guitar, lap steel, vocals), Alfredo Garcia (bass and vocals) and Rangel Zurk (guitar and vocals), in the year 2013, prepare the first flight of their spacecraft: the first self-titled EP "Piloto Automático". There are five songs that recall the band's diverse influences. Thus, on this record you’ve got in your hands a compendium of Black Flag, Black Sabbath, Brant Bjork, Kyuss, Desert Sessions, Zefirina Bomba, Pixies, Queens of the Stone Age, Sonic Youth, Creedence Clearwater Revival, Melvins, 1960/1970 garage rock, desert landscapes of the Brazilian Northeast countryside, automotive etc. Depicting themes in their lyrics such as loneliness and mystery ("Estrada Deserta"), addictions ("Una Ranchera Romantica"), the hustle and bustle of everyday life ("Tudo"), travel through the desert stoner ("Mais Um Morto No Deserto ") and more addictions (" Coma "). The release of this EP will come along with the official music video for "Estrada Deserta", which was recorded in the countryside of Pernambuco state in the towns of Ameixas, Bezerros and Feira Nova. Everything filmed, produced and edited by the band members. "Music is truly the universal language and is evidenced throughout the latest self-titled EP from Piloto Automático. The EP is laced with an abundance of sun-drenched riffs and seething grooves. As the bio suggests, the bands influences range from the desert rock of Queens of the Stone Age to the trippy psych-laden vibe of the sixties and can be heard throughout this masterfully played EP. From the machine gun rhythm of "Estrada Deserta" to the jaw-dropping barrage of "Mias um Morto no Deserto", you will be pleasantly surprised by the bands penchant for melody and for sticking to their guns by singing lyrics in their native tongue. This EP is solid and one that you should not pass up! Revigorando o cenário alternativo do Nordeste do Brasil... Piloto Automático.